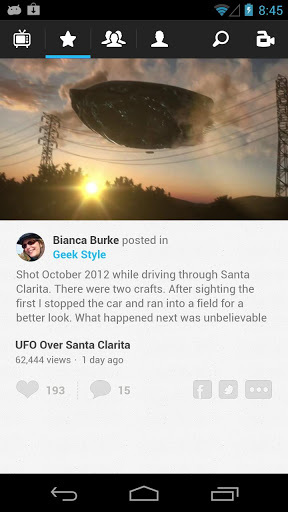 Telly - Social Video (Android/iPhone) ~ Android Forever! Developer Quote: "Create and share videos with beautiful filters and music. Discover today’s hottest videos - including what your friends are creating and watching, as well as today’s most popular videos. You’re going to love this." Limiting your videos to 6 seconds can feel a bit cramped, I've found. If you're like me in this regard, you need to try Telly. Telly not only lets you shoot longer videos, it also lets you apply filters and add music! And as a final good word, it's cross platform, with apps for Android and iOS, so you can cross the aisle on this one. Check it out. ★ My Telly video feed shows the best videos your friends are watching and posting on Telly, Facebook and Twitter. ★ Engaged, active community of celebrities, including Justin Bieber, Ian Somerhalder, Demi Lovato and the NBA, posting awesome stuff. ★ Explore today’s most popular videos from across the web. ★ Turn your phone sideways from any feed and browse full-screen videos on autoplay. Swipe to skip at anytime. ★ Unlimited length video capture - shoot as long of a video as you want. Pause and resume while recording to create unique scenes. ★ Apply gorgeous custom filters and soundtracks to your video that seamlessly match the length of the video. ★ Instant sharing to Facebook, Twitter or privately with groups of friends and family. 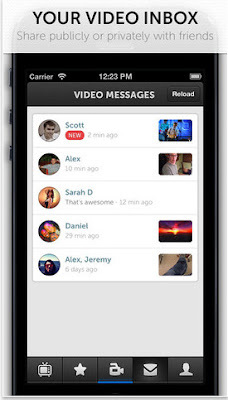 ★ Video inbox and group messaging allows you to share videos and video chat privately.